Today in Los Angeles, Microsoft revealed their all-new line of Windows 8 tablets. The new Windows 8 tablets come with extremely thin case/keyboard combinations, along with a slick stand. They look to be more portable than laptops and more functional than any tablets we’ve seen yet. 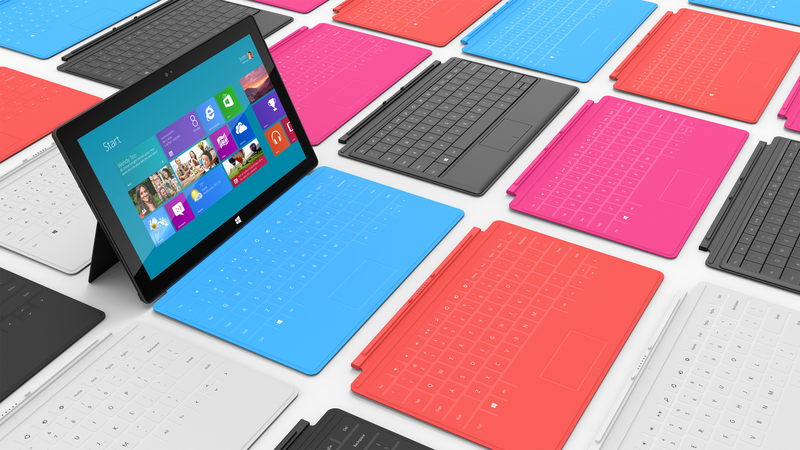 Running Windows 8 and with all the bright cases, the 10.9″ tablets look great. Microsoft if making its own hardware, and the news-world drama which ensued was reminiscent of an Apple announcement. The style is more than eye-catching! Two devices were announced: a Windows RT version and a Windows 8 Pro version. This means that the RT version is running on ARM, so will be lighter, thinner, and cheaper, while the Windows 8 Pro version is traditional x86 architecture. This also means that some capabilities are limited, such as all features of Microsoft Office “2013”. The Windows RT version will come in 32 GB and 64 GB versions, while the x86 version will be 64 GB and 128 GB. The breakdown of the differences is in the chart below. We haven’t heard anything on prices yet, but we’re told they will compete with today’s ARM tablets and Ultrabooks accordingly. My guess on pricing is that Microsoft will be extremely competitive, but I would still expect to pay at least $299 for the Windows RT version, and a couple hundred more for the 8 Pro, but we don’t know until Microsoft discloses it. Plus, we can look forward to other devices coming from third-party OEMs like Samsung. All this and more is set to come Q4 this year. Though the yearly E3 convention is intended for video games, often times companies stretch the definition a bit and unveil new software and technology enabling new ways to play. Microsoft and Nintendo took the stage in this regard, though we did see a few other pieces of technology rear their heads. In all honesty, the concept of Xbox Smartglass looked an awful lot like the new features of the Wii U, given the tablet-console communication will enrich the gaming experience. The Wii U’s tablet integration has been awaited for a while now, but this does raise questions. That said, Microsoft has been keeping us on our toes in awaiting the “Three Screens Vision”, connecting the console, tablet or phone, and PC. It’s also important to note that both have their advantages. Xbox Smartglass will be available for Windows 8 tablets, Windows Phone, Android, and iOS as far as we know. In the keynote, Marc Whitten mentions the use of the app on Android, so we can assume iOS as well. The Xbox website’s Smartglass page says that there will be an Xbox Smartglass app for Windows and Windows Phone, and that the “Xbox SmartGlass technology is available on other major platforms in the My Xbox app”. There is already an Xbox Companion app for Windows Phone and a beta for Windows 8 (since Windows 8 is in beta–download the latest iteration, Release Preview here). We also assume that there will be something along those lines for Android and iOS, perhaps with some limited features, though we have no details as of yet. The real deal here is that Xbox Smartglass is connecting “the devices you already own” for an enhanced experience not just gaming, but viewing movies or videos, and for browsing the web. All these features are briefly described in Xbox video below. As far as the Wii U goes, I’m convinced that Nintendo has this technology pretty much in the bag. 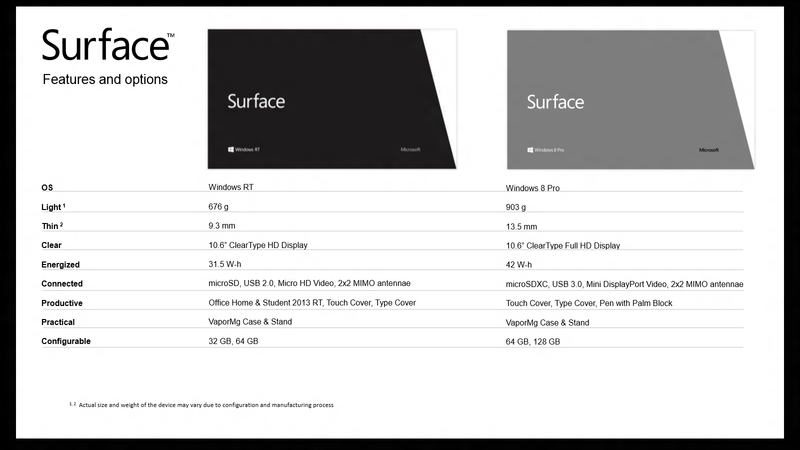 The integration that they demoed does look more refined than that of Smartglass, and, as of late, superior. That said, Nintendo has the advantage working with only one “tablet”, if the so-called “gamepad” could be described as such. As far as we know, the gamepad will have some abilities we associate with a tablet, like video-chatting, but the apps and services which will be available are uncertain. We can’t hardly blame Nintendo for this though, because so far as we’ve “heard” the gamepad should be in the $100 price range, limiting the hardware. Then again, if Amazon can do it, why can’t Nintendo? It’s important to note that the gamepad isn’t a tablet. And unlike the devices meant for Smartglass, the gamepad is not really a device outside of gaming purposes. Outside of gaming, we know the gamepad may have features like the 3DS currently has. Both devices will feature integration with the new MiiVerse “social network”, for which smartphone apps will also be available. Nintendo seems to be really going out of their comfort zone in order to try and bring customers what they want most, so kudos to them there. We’ll admit there was some other technology that was there, but we’ll save you the trouble of it because it wasn’t all that special. If you’re interested on the “virtual reality” Doom 3 goggle gizmo, we recommend the article at the Road to VR blog.